Laura Bush, the former first lady of the U.S. and of Texas, called the Trump administration's "zero tolerance" policy of separating immigrant children from their parents "cruel" in an op-ed published in The Washington Post Sunday evening. "It breaks my heart," she wrote. Nearly 2,000 immigrant children have been separated from their parents as a result of the policy U.S. Attorney General Jeff Sessions announced in May, which officials have said is intended to deter illegal border crossings. 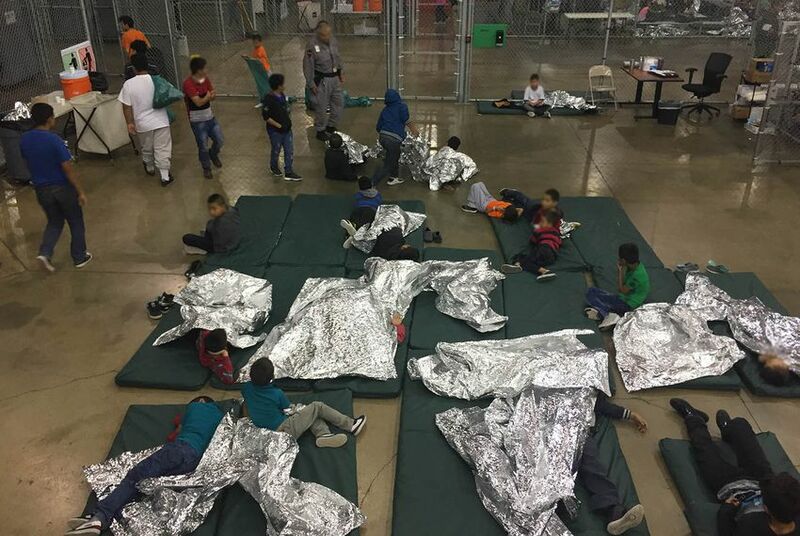 Separated children are being housed in a handful of Texas facilities, including a tent city in the town of Tornillo, outside of El Paso. As of Sunday, about 200 children were in that center. "Our government should not be in the business of warehousing children in converted box stores or making plans to place them in tent cities in the desert outside of El Paso," Bush wrote, comparing the images circulating in the media to Japanese-American internment camps during World War II. "People on all sides agree that our immigration system isn’t working, but the injustice of zero tolerance is not the answer."